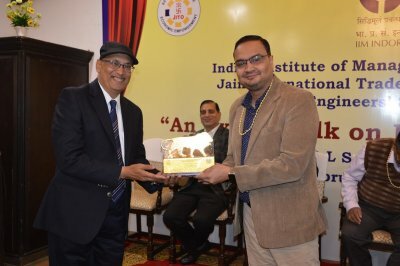 IIM Indore in collaboration with Jain Engineer’s Society (JES), Jain International Trade Organisation (JITO) and Jain Social Group (JSG) organized an Expert Talk on Entrepreneurship on February 10, 2019. 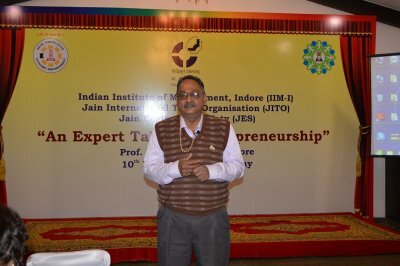 The main speaker for the talk was Professor D L Sunder, Faculty and Chair- Entrepreneurship Cell, IIM Indore. 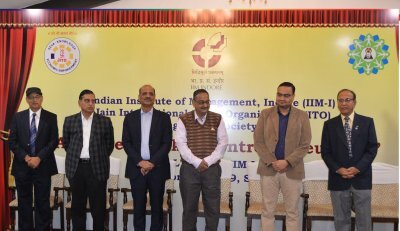 Other delegates present on the occasion included Mr. S Bhagwat Nagori, Secretary, JITO; Professor Abhishek Mishra, Faculty and Chair- Industry Interface Office, IIM Indore; Mr. Rajendra Jain, Chairman, JITO and Mr. Pradeep Jain, JES Chairman. The event began with a breakfast and networking session which provided a platform to everyone for interacting with each other. This was followed by the lamp lighting by the guests. The entire room echoed with a melodious Vandana for Maa Saraswati. The welcome speech was delivered by Mr. Nagori who discussed entrepreneurship and its distinctive attributes. 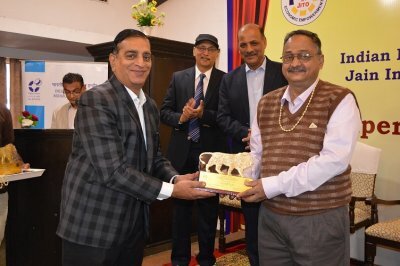 This was followed by an address by Mr. Tapan Jain, who discussed the importance of such lectures about entrepreneurship, and how these lectures help in encouraging the youth in becoming entrepreneurs. Professor Abhishek Mishra then briefed the audience about the Industry Interface Office, its mission and various activities being conducted by the department. Mr. Rajendra Jain, while introducing Professor Sunder said that he is among finest academician across our country. Professor Sunder then delivered the expert talk. He began his speech talking about his earliest experience in Indore. He discussed various subjects taught to the students at IIM Indore campus and its importance. Professor Sunder also shared the circumstances faced during teaching and handling the great minds of our country. He mainly believed that good academicians are those who basically learn from the surroundings and then teach the students. He associated himself with all the entrepreneurs and observed their mindset to urge to grow more. He delivered his views on startup business and the idea of business modification to survive into the competitive market. The talk concluded with a Q&A session where Professor Sunder answered interesting questions asked by the participants. The vote of thanks was delivered by Mr. Pradeep Jain. He also appreciated the efforts put in by the IIM Indore team in conducting the event in a smooth manner.